Thrive Themes is a WordPress theme and plugin company founded by Shane Melaugh in early 2013. As an internet marketer himself, Shane developed the company with a conversion-focused ethos that helps its users build optimized websites with no coding knowledge. It’s become popular with indie site owners and marketers who need business-building website tools on a budget (myself included). In the last 5 years, Thrive has built an impressive group of successful themes (like Rise, Pressive, Minus and Squared), but the company’s biggest success is Thrive Architect, a powerful visual page and post editor plugin that allows you to drag and drop and craft a WordPress landing page or post to look any way you choose. I’ve been a happy Thrive Architect user for many years now (bought it back when it was called Thrive Visual Editor), but I always preferred to use Genesis as my WordPress theme. That might have to change soon because Thrive are launching a new super theme that combines the awesome power of Thrive Architect with their conversion-optimized themes. 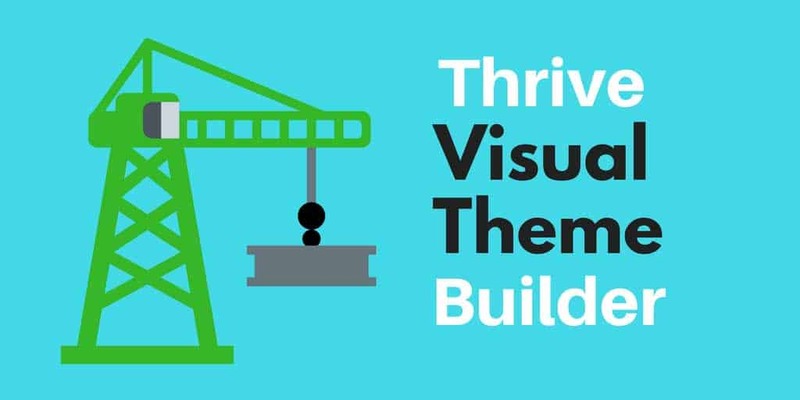 What is Thrive Visual Theme Builder? Instead of wasting hours (or even days, sigh) researching theme layouts and trying to make an off-the-rack theme fit the way you know your site should look, Thrive Visual Theme Builder is promising simple, front-end theme editing – drag and drop elements to modify the look and design of your whole WordPress and completely customizing it to look and perform however you want. Until now, there have been very few WordPress themes that offer visual customization – the only ones I have experience with are GeneratePress and Beaver Builder for Genesis, but I’ve found these to have quite a few limitations (detailed reviews coming soon!). Color me excited. I’ve been frustrated with WordPress theme customization for years as my CSS knowledge is pretty basic. If you want to try Thrive Visual Theme Builder before anyone else, you can catch it in beta testing from July 25th by becoming a Thrive member. You can also read the full sneak peak post by Thrive here. How is Thrive Visual Theme Builder different from Thrive Architect? Thrive Architect is a WordPress plugin. It can be used to customize individual posts and pages, but only one at a time. 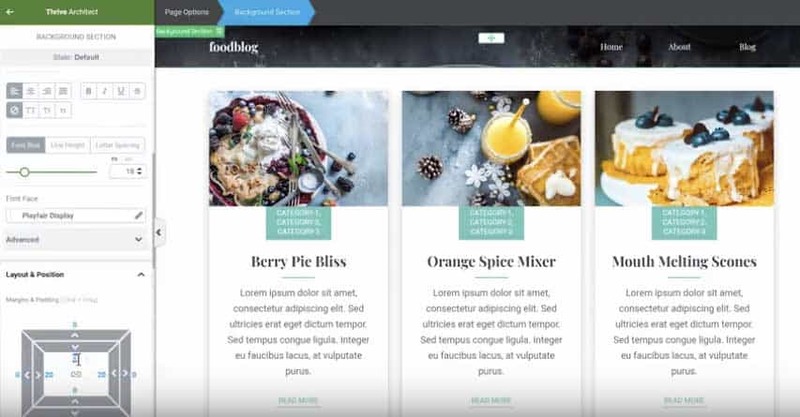 Thrive Visual Theme Builder is a full theme with a built-in visual editor, so you can make changes to any visual element (for example, adding a sidebar image) and it will change site-wide. When will Thrive Visual Theme Builder be launched? At the moment, the theme is unreleased. It will be launched in beta on July 25th to all active Thrive members (get membership here if you want in). Will Thrive Visual Theme Builder be compatible with other plugins? I don’t know which plugins will be compatible with Thrive’s new theme until there is a stable public release, however early comments from existing Thrive members indicate that compatibility will depend on demand and issues that arise during beta testing. WooCommerce will be a priority compatibility update (not in the first release). I would guess that compatibility issues will arise with plugins that offer a lot of templates/visual elements, for example course plugins like LearnDash. If plugins are not supported via integrations, they will likely still work with the theme, but they will not be able to have style or layout changes using Thrive’s visual editor. That’s about all the info I have right now. Check back soon when I’ll run-down the best and worst features of the new theme once I’ve given it a test.